The shed is entirely made using only the finest FSC® certified timber and has an apex roof covered in our heavy-duty, heat-bonded felt which is just one of our roof-covering options. 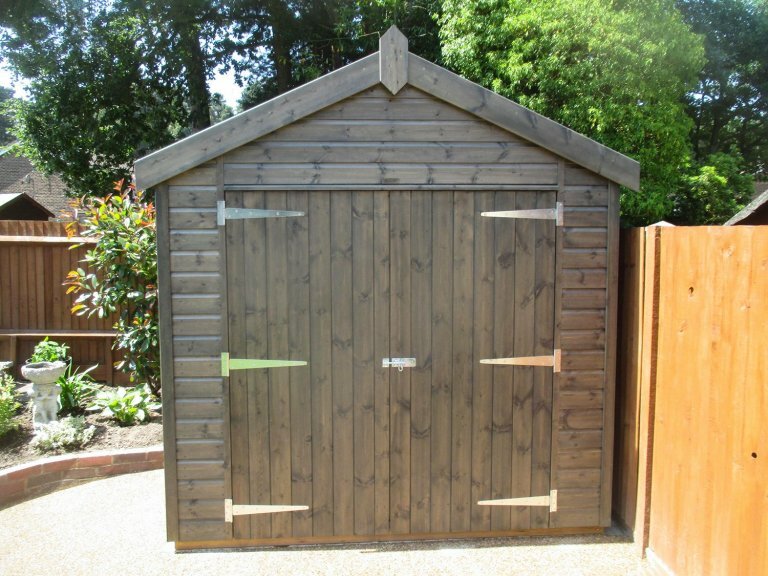 The smooth shiplap cladding is coated externally with Sikkens preservative stain in the shade of Grey, which allows the natural beauty of the wood to show through while still offering an attractive finish and some protection. Internally, the shed has a working height of 2.0m and entry is granted through double doors. 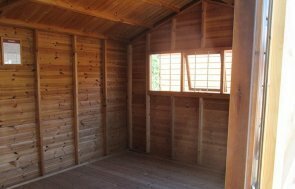 Other extras available with our Superior Sheds include electrical packs, insulation and oak-faced ply lining. 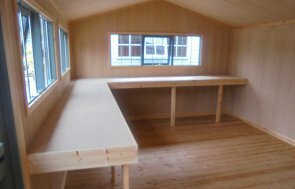 We can also offer additional windows, workbenches and other customisable features. 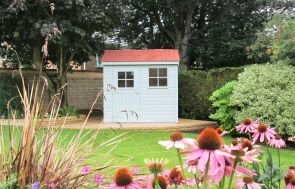 If this shed has inspired you to take a look at getting your own, we recommend that you pay us a visit at your nearest show site where there are a variety of buildings on display and a team of friendly advisors on hand to help. Alternatively, you can continue browsing online or get in touch with us on 01760 444229.